With no photos and only a single record for a ‘box containing a selection of rolled prints’, the Project Reveal team at Newhailes had no idea what was in store. If you’ve been to Newhailes of late, you may have caught a glimpse of members of Project Reveal Team East rummaging around in the basement. Containing over three centuries of history, the house at Newhailes has been home to Enlightenment thinkers, members of Parliament and art students. As a result, the house contains a wide variety of objects hidden away in a number of different rooms, cupboards and drawers not seen on the public tours. 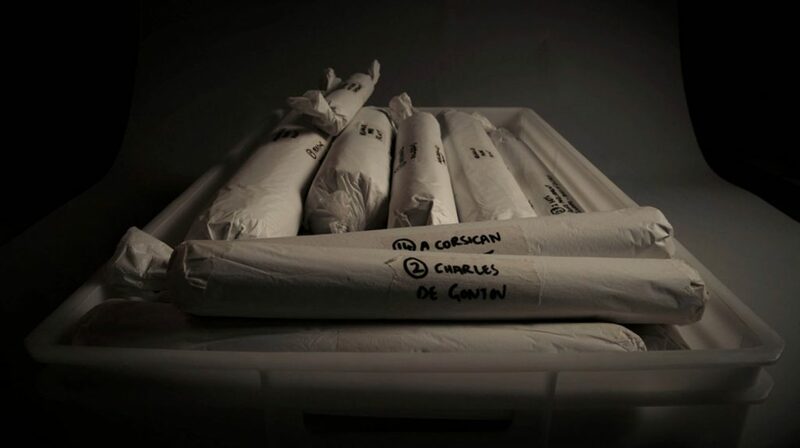 Recently, the team unearthed what appeared to be a rather plain plastic box containing a group of wrapped prints labelled with intriguing titles. But to what exactly did the handwritten labels ‘Peasants Praying’, ‘The Flood’ or ‘Old Man with Beard (Rembrandt)’ refer? What we found was a collection of over 30 prints, dating from the 17th, 18th and 19th centuries. The collection, including a view of Glasgow from 1693 and a portrait of Christopher Columbus from 1750, has no overarching theme but does contain works by a few recurring artists. In this piece we have decided to focus on three of our favourites. One of the most unusual prints in the box comprises several pages rolled together, depicting the funeral procession for John Leslie, Duke of Rothes and Lord Chancellor of Scotland. Each page features three rows of figures – all numbered and named in captions. The Duke’s state funeral in 1681 is regarded as the most elaborate funeral procession to have taken place in Scotland, longer than both Wellington’s and Churchill’s. It stretched for 17 miles, transporting the Duke’s body from the Palace of Holyroodhouse in Edinburgh to his home in Fife. The cost of the procession was so enormous that it left his family in financial ruin. This print allows us a rare glimpse into an extraordinary event in Scottish history, not only describing the procession but also depicting each figure who participated, down to every last flagbearer. Near the bottom of the box we found a set of William Hogarth prints. One of the prints, Gin Lane, was mentioned in a previous Project Reveal blog post about the gin pigs at Brodie Castle. 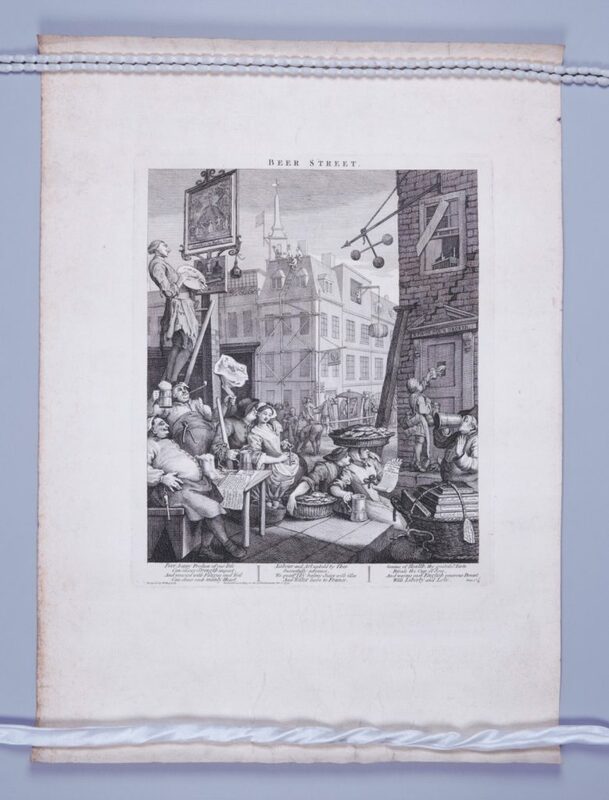 The Beer Street print was meant to be seen side by side with Gin Lane to promote the virtues of beer against the vices of gin. Rather than an image of debauchery and death, Beer Street is instead an image of health and industry. Although the prints were first published in 1751, these prints from the box appear to be from a later version that was first printed in 1759. In the 1759 version, the figures of a Frenchman and a blacksmith have been replaced by a cavorting couple. Hogarth’s prints provide an intriguing social commentary of an important moment of cultural change in Britain. One printed item in the box was slightly different from all the others – we found an advertisement and price list for items for sale at Rowney and Forster’s Lithographic Press in London in 1822. The price list includes the company’s prices for their ‘watercolours prepared in cakes’ including ‘King’s Yellow’, ‘Dragon’s Blood’ and ‘Orange Orpiment’. 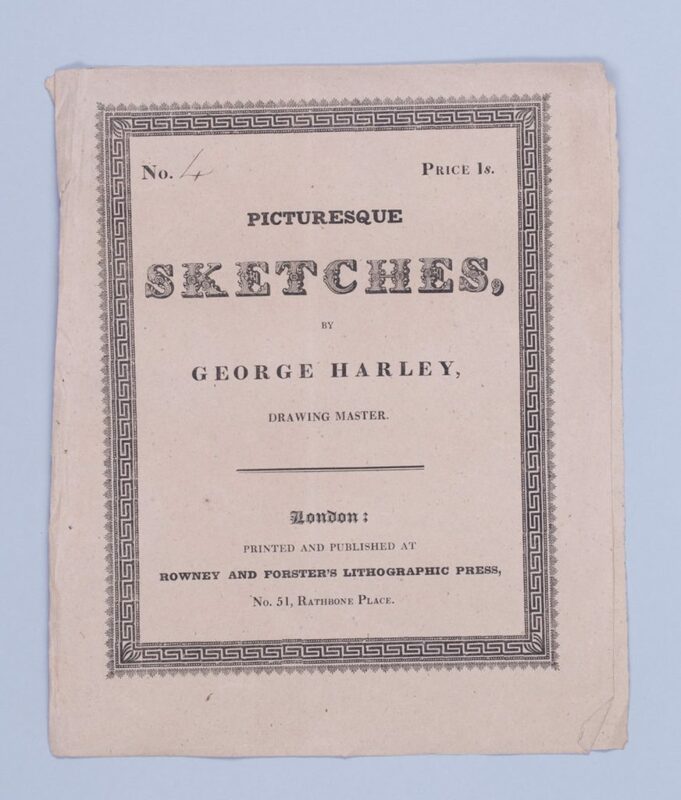 The sheet was rolled up with two lithographs by George Harley, sold at the establishment for 1 shilling each. Advertisements and price lists provide valuable evidence for the way printers ran their businesses and on the commercial value of prints and materials at the time. Unfortunately, these advertisements rarely survive, so we were especially excited to discover this one. The prints in this box represent only a fraction of what will be found at Newhailes. Who knows what other treasures lie in store for us in the coming months? This article is by Project Reveal Team East. Project Reveal is a multi-site digitization project of unprecedented scale. With your support, we can help the Trust manage its collections more effectively. Most important, we can help the Trust discover, better understand, and share its treasures with the world. Originally published by the National Trust for Scotland on September 08, 2017.